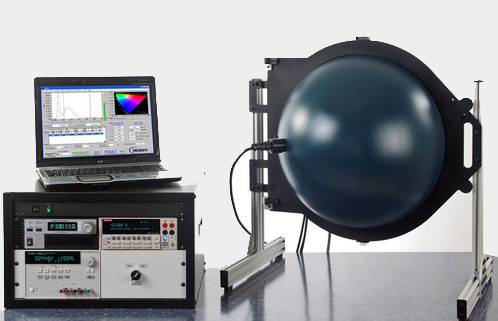 Labsphere, Inc. has introduced the illumia® and illumia®pro series of LED and light measurement systems. The new systems offer flexibility in measuring thermal, optical, and electrical characteristics of LEDs and arrays, as well as solid state and traditional lighting products. Labsphere’s MtrX-SPEC software delivers spectral results in milliseconds that conform to global standards and measurement geometries. Labsphere’s NIST-traceable, NVLAP® accredited calibrated lamp standards allow manufacturers to move product development from conception to market more quickly with in-house testing of the thermal, optical, and electrical properties in preparation for meeting global market standards.